Saturday 6th and Sunday 7th July 2019 at Trimdon Community College. Our previous tournaments have been enjoyed by all who watched and participated with the children providing excellent entertainment as they tried their individual best for their team. This year’s event has been kindly sponsored by Sedgefield Dental Practice and the Club would like to thank Chris and Adele for their support. 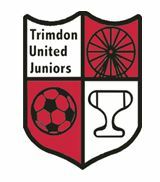 Trimdon United Juniors FC would like to invite you to come along and support the events either as participants or as spectators. Refreshments and side stalls are available. Any teams wishing to enter should read the invitation letter and complete the entry form attached below.